Very interesting question, indeed. I wonder when the use of passports (as we might recognize them today) even started. Hmm…. would also be interesting to see how the concept of citizenship changed following the Am. Revolution and the French Revolution. And in response to the other comment, passports as we would recognize them today have been around for a few hundred years. The US began issuing diplomatic passports in the late 18th century for Americans serving abroad as minister plenipotentiary. Similarly, in many cases, the country in which the diplomats were serving also issued them passports. 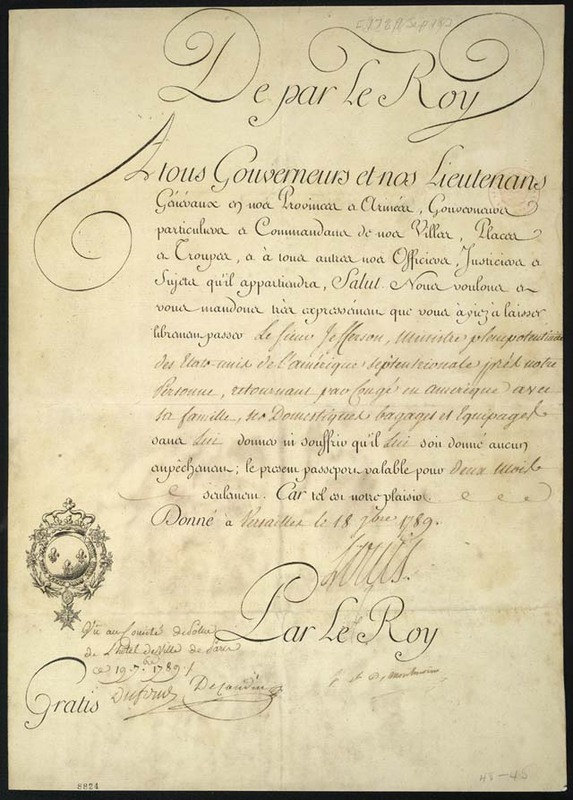 The link below will take you to a very cool image of Jefferson’s French passport signed by Louis XVI from the LOC collection. That’s a really cool link! So, there were passports for important people, but when did it become the norm for Joe Average to have a passport with him when he traveled? The people running afoul of the notion of citizenship were sailors (who, admittedly, had a hazy sort of nationality anyway).